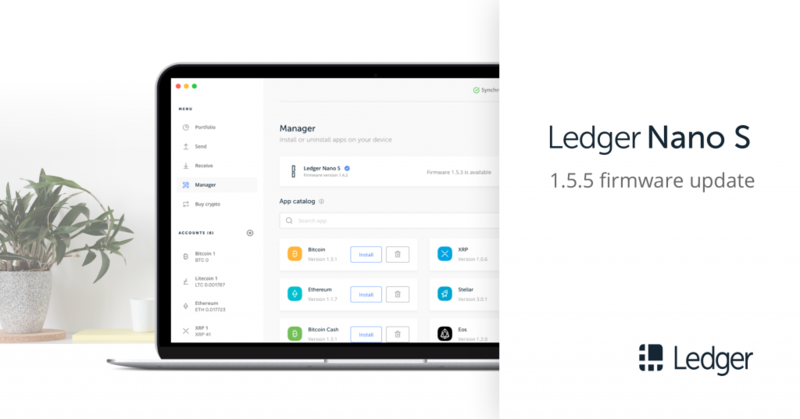 We’re thrilled to release a new firmware update (version 1.5.5) for the Ledger Nano S, which brings new cryptographic algorithms, security improvements and additional features. WebUSB has been enabled for the dashboard, allowing application management from any compatible browser. In the future this means that applications similar to Ledger Live will be able to install multiple apps at once or reinstall the apps after a firmware update. Application management has been improved so that free space is recovered when an application is deleted. This solves an issue where it was sometimes necessary to remove all applications to reinstall one. We recommend all our users to install this latest version to make the most of the improvements it brings. NOTE: The addition of new features may slightly decrease available space for applications.